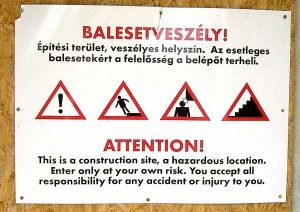 It’s a new (and not immediately pleasant) experience being cast up alone somewhere with a language so impenetrable to me. The fact that the (Hungarian) check-in clerk at Luton airport commended my pronunciation of ‘Budapest’ salves the pride a little, but only a little. French, Italian, Spanish…even German, I can sort of work out some of the basics, recognise some of the word roots from a shared heritage. Here, there’s pretty well nothing to grab onto. I can’t work anything out & all the sounds are odd as well. Somewhat chastening, but oddly liberating as well. ‘Köszönöm’, (pronounced something like kusserrnurm.) I’m determined to get to grips with at least one word whilst I’m here. If you only have one word, I reckon ‘thank you’ might not be a bad one. 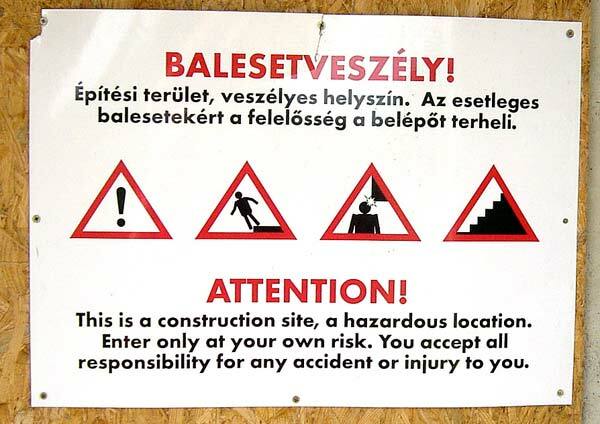 Too bad that the Hungarian for “I’m English, and therefore understand almost nothing,” is likely to elude me forever. Kussernurm, kussernurm…after much study of the phrasebook section of my guidebook I eventually fall asleep muttering in random gratitude.